The most important eligibility criteria for getting credit card approval is the income of the applicant. If the income is low, getting a card becomes very difficult. The basic logic behind higher income is to evaluate credit worthiness of the applicant. Since most of the credit cards are unsecured (i.e. no security is required); the risk of granting credit is quite high for the lending bank. The reason for high risk is defaulting i.e. the borrower doesn’t payback the money, resulting in non-performing assets (NPA) which adds to the loss to the bank. However this does not mean, low income earners can never get a credit card. 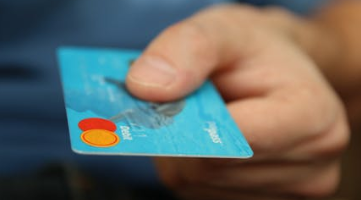 Ideally bank requires a minimum income for every credit card offered. Applicant should be account holder of the bank. You can also get add-on card for your family members against both these cards. Both the cards are valid for 3 years. 50% cash withdrawal limit is applicable on both these cards. You can also get these cards against fixed deposit. For Global, FD amount should be Rs. 1,00,000. And for Classic card, amount should be Rs. 50,000. No joining or annual fee. It’s a lifetime free card. Owner of the card can have his/her photo on the card. Card user gets 1 reward points for every Rs. 400 spend.